The finance industry has witnessed a number of ups and downs in the last decade or so. Who can forget the economic meltdown of 2008 due to which several industries incurred huge loses. However, soon after this tantrum, there emerged a term, which today has become the lifeline for the financial and business world. We are talking about Fintech, a new innovative word and said to be a combination of finance and technology. Previously, it was regarded as a back-end data processing platform but nowadays it is major driving vehicle for processing the end-to-end transactions. One of the other key players contributing handsomely in the digitalization of banking and financial services is mobile app industry. As the users are spending more time on their Smartphone devices, the finance industry must be ready to offer services that are on-demand, easy and convenient and conducted in real-time. Certainly, the financial apps have these capabilities to match the standards of customer requirements. Now, if we view an important survey from Statista related to Fintech, then the leading sector where banks are spending on financial technology has been mobile payments. According to another statistic, about $60 billion worth of payments were made from mobile platforms and it is estimated that by 2020, 90% of the smartphone users will start making payments through their devices. 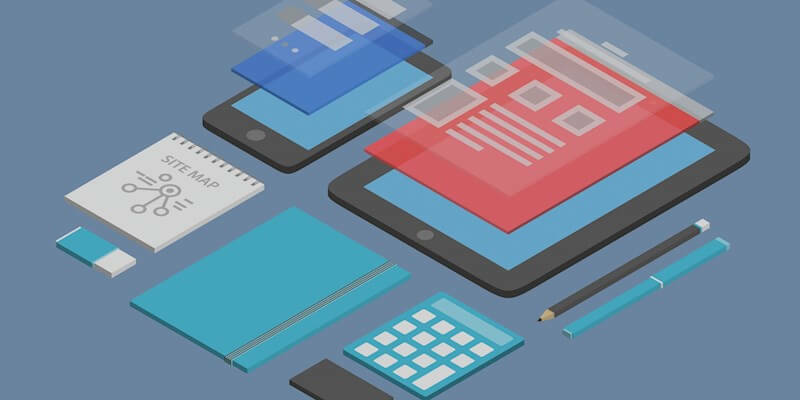 However, the road ahead for the mobile development industry is not that placid as it has to face a few challenges while planning to create a unique and useful financial app. The app developers need to keenly understand these challenges and issues so as to provide maximum benefits to the end users. The security has always been one of the forefront issues for the app developers worldwide while developing any mobile app. However, with the focus now drifting on to the banking and financial apps, security becomes paramount and you need to keep it on the top of your list. There is no room for any error because banking apps contain very sensitive and private data of the users such as the internet banking id and password, details of the credit and debit card, pin or CVV number etc. Even the slightest lapse or hole in the door is adequately enough for the hackers to peep in and get those confidential data. In fact, a recent research on security carried out on 400 apps in 2017 revealed that they have different loopholes and some of these renowned banks included HSBC and Bank of America. Remember, the customers are using your app largely due to the trust factor and if they get even a subtle hind about the security vulnerability, they won’t think a second before uninstalling the app. The financial industry worldwide is highly regulated as most of the policies and laws are formed by different respective government and other esteemed organizations. Therefore, it becomes more than imperative for the app developers to abide by the various regulations and laws while creating the apps. For instance, if you are building an app for a company that conducts business in European continent, then you have to meet the requirements of General Data Protection Regulation (GDPR), which has been implemented from 1st May 2018 onwards. However, a study indicates that nearly 55% of the apps do not comply with the GDPR demands. The GDPR advocates that companies cannot take the private data of the consumers on their will; they need to get the consent first. So, the next task for the app developers is choosing the appropriate platform along with accurate features to be incorporated. It must be necessarily ensured that your app works optimally across all platforms i.e. both Android, iOS and web and wide range of devices. But the developers are most of the times puzzled over the question- how many and what features should I include or leave out. It would be advisable to begin with building a Minimum Viable Product (MVP) even for the financial app. This will allow you to segregate the most vital features and functionaries from both the user as well as bank’s prospective. Of course, it is essential to add features such as instant checking of balance, transferring and receiving the money in real-time, use of the e-wallets, customer support integration, upgrading the customer details with ease etc. On the other hands, banks want features that can boost their profitability and also look to enhance the customer base. You need to offer an app with awesome functionality where the users can do their daily transactions with ease, apply for loan and other products easily, the apps run without any hiccups and make digital payment using any of the options available. Google recently conducted a survey, which says that 4 out of 10 smartphone users use their devices for financial activities. Another report states that 63% of the smartphone users have at least one financial app in their device. The intention of providing these stats here is just to indicate that you have to take the User experience of the app very seriously and not compromise on it on any front. The app needs to be as user-friendly and customer-centric as possible. The customers shouldn’t face any difficulty even if they are carrying out a complex transaction. And of course, you need to focus on technical issues as well as they will keep coming back. Regular updates and following the latest version of the OS of the platform is a must to implement. So far we analyzed the various challenges that usually the developers face while building the financial app. However, now we would focus on the benefits that financial apps offer to both users and financial institutions. Check Balance in Real-time – The financial apps allow users to check their account balance in real-time anywhere 24×7. 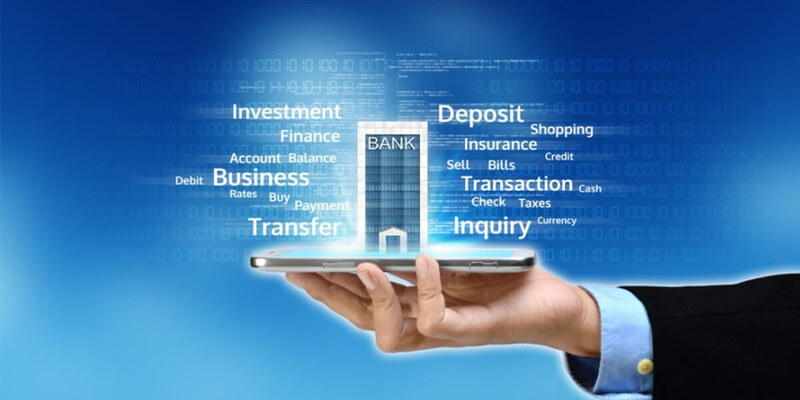 Conduct all Banking Activities with Ease – They can also conduct all banking activities including opening a new account, transferring the money and scheduling the payments with just a new taps on the screen. The Financial apps are extremely easy to operate, and cost efficient. The customers also tend to receive special offers and discounts from the banks. The apps are highly secured, which means all your private data would remain safe and encrypted. They offer secured codes for conducting the transactions. The customers are alerted by email or SMS text if there is any credit or debit in their account. You are creating the financial app to facilitate customers and your aim is to retain more and more the existing users as well as add new ones. The opportunity to sell the existing customers is 60 to 70%, while for the new joiners it is mere 5 to 20% only. Once a user becomes your regular or long-time customer, you can start selling more products to him and facilitate him better. The push notification facility in the on-demand financial app is a wonderful asset that can boost the sales through in-app marketing. You can send them the messages according to what they are looking for. For example, people nowadays look for the best deals and offers while availing loans for their homes or vehicles etc. This is where you can hit a boundary and win the match by providing customized services and alluring offers. When the customers spend time on your mobile app, they also show their preferences and priorities. Now, it is up to you how to cash them out. You have the important data that would help in targeting the users better and also framing improved business policies identify the consumer behavior etc. You can stay ahead in the competition by getting the analytics. The customer data and analytics will also help to rope in for new customers. Moreover, the customers also keep changing the apps to get better technology support and best features to suit their purpose. The financial apps also provide the facility of an enhanced customer support. Besides providing the FAQ section, some apps are also offering a chatbot there customers can get answers to their queries without any human presence. You can also offer the option of live chatting option. The financial app is the need of the hour both for the customers as well as the financial institutions. The digital technology is rapidly progressing ahead and certainly the finance industry cannot lack behind. The apps provide a spectrum of features to the customers allowing them to conducting banking services with only a few taps. It also provides the opportunity for customer retention and adding the new ones. Looking for a reliable and customized Fintech solutions and services? Just contact us to share your idea.